In 1985, the U.S. government, through the Federal Communications Commission (FCC), established a program called Lifeline that helps low-income phone customers by giving them a discount on their phone service. In 2005, that program expanded to include pre-paid wireless service plans, too. That's a good thing. But recently, 62 percent of Verizon’s customers in New York were dropped from the program. What happened?? Sadly, there are dishonest people who sometimes abuse systems, even those meant to help low-income families. That is what happened to the Lifeline program. So, the FCC in 2012 added more rules to prevent about $2 billion worth of abuse over the next 3 years. The new rules included, for example, an accountability database that would prevent multiple carriers from receiving support for the same subscriber. 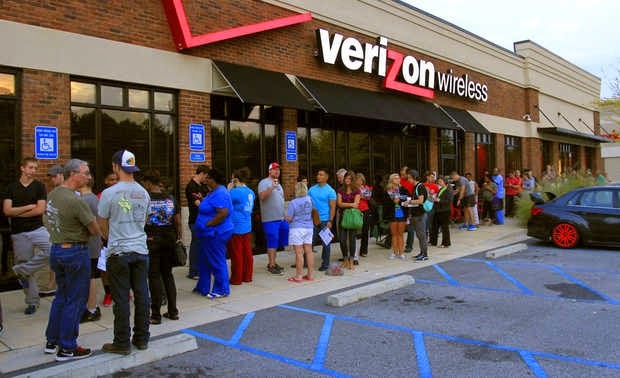 Carriers like Verizon who offer discounts to eligible low-income customers are then reimbursed by the FCC. However, it appears that when the new database went live in 2014, something went wrong. The number of people who were dropped from the program was so high that it was clear something went wrong and many people who were actually eligible for the program were dropped. Since program participants must register for the discounts themselves, company officials believe that many did not respond to a request to confirm their authenticity, which would have kept them in the program. It appears to be an honest mistake, but one that is, in the meantime, preventing eligible low-income customers from receiving their much-needed discounts. The company is continuing to work to solve the problem. Although no refunds are planned, the company intends to reinstate as soon as possible all customers whose eligibility for the program is confirmed.